The Reserve Bank of India issued guidelines in March this year that would unsettle specialised gold loan companies. The organised gold loan market had grown at a compound annual growth rate of some 45 per cent for the past four years. The RBI was particularly concerned about the impact of the increase in gold prices on the sector, and imposed a cap on the loan-to-value (LTV) ratio at 60 per cent of the pledged gold. It means that borrowers must pledge more gold to borrow the same amount. The LTV ratio for banks is around 80 per cent, so the restriction on gold loans resulted in borrowers shifting away from these in favour of banks. Companies such as Manappuram Finance had been lending at over 65 per cent of the value of gold, so the RBI rule hit them hard. In six months, Manappuram's assets under management declined 12 per cent to Rs 10,900 crore in June 2012 due to a fall in the gold stock. Its customer base shrank by around 100,000 to 1.6 million. Average market capitalisation for April to September 2012 was 46.5 per cent below its level in the same period last year. Manappuram slipped 91 places on the BT 500 to 276, down from 185 in 2011. 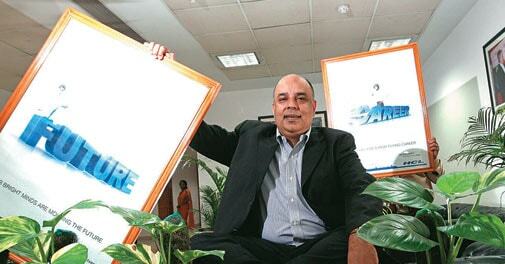 Analysts at Emkay Global Financial Services expect Manappuram's revenues to fall further. "Besides a higher LTV advantage, the banks charge lower interest rates - 13 per cent - compared to Manappuram, which charges around 25 per cent," says Dhananjay Sinha, co-head of institutional research at the brokerage. Manappuram's promoters say the regulations are not in the interests of the people. "The government is trying to discourage competition," says V.P. 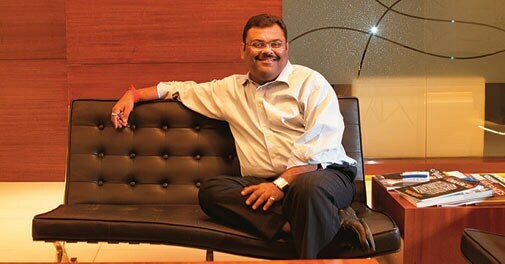 Nandakumar, Managing Director and CEO. The Thrissur, Kerala-based nonbanking financial company is one of scores of companies on Business Today's declines list. These are either companies that slipped the most in the BT 500 rankings since last year, or those that witnessed the maximum erosion of market capitalisation in absolute terms. At the top are Hyderabad's SKS Microfinance, which fell 212 places from 277 in 2011 to 489 in 2012, and oil and gas conglomerate Reliance Industries, which lost Rs 46,135 crore from its market value in the past year. Companies whose market capitalisation fell in the past year lost around Rs 7.58 trillion (a trillion equals 100,000 crore). The reasons varied, but the economic slowdown affected sectors such as infrastructure, metals and mining, banking and financial services, power, and oil and gas. Companies from these sectors crowd the list of those that lost heavily. Infrastructure and power was the most represented sector this year, contributing 34 names to the list of 303 companies that declined in average market cap (out of the top 500). The banking sector was next with 26 companies. Twenty-four metals and mining companies also made the list. Analysts say the power sector's performance is hemmed in by supplyand demand-side problems. Fourthranked Coal India, the public sector company whose market cap fell by Rs 21,562 crore in the past year, cannot increase production to meet rising demand, forcing power companies to buy imported coal. At the start of this year, international coal prices shot up to $120 per tonne, forcing power producers to shell out more money. "Those who had made bids at lower prices are now asking for tariff revisions," says Chirag Shah, analyst at ICICI Securities. "Their calculations have gone haywire." A case in point is Tata Power, the largest private sector power company, which has asked the Central Electricity Regulatory Commission to revise tariffs for its Mundra ultra mega power project, which has become unviable. "On the demand side, there is trouble as state electricity boards are in a financial mess," says Shah. While bidding for the Mundra project, Tata Power, whose market cap fell by Rs 5,216 crore in the past year, had quoted a tariff of Rs 2.26 per unit for the next 25 years. But with higher global coal prices and other factors, it costs Rs 4 to produce a unit of power at the plant that began operations in January 2012. So the company loses Rs 1.74 per unit generated. Another power and infrastructure company, Gautam Adanicontrolled Adani Enterprises Ltd (AEL) fell from the 19th rank in 2011 to the 53rd place this year. Its average market cap (April to September 2012) is down Rs 44,766 crore, or 65 per cent. The plunge is partly due to poor cash flows and an over-leveraged balance sheet. Long-term borrowing jumped more than 100 per cent, from Rs 24,252 crore in March 2011 to Rs 48,894 crore in March this year. AEL's $2-billion acquisition of Australia's Abbot Point Coal Terminal added substantial debt to its books. In addition, the company is borrowing to double the capacity of its Mundra power project. A n August 2012 report by Edelweiss Securities says AEL's biggest challenge is the execution risk of projects in the pipeline. Projects being developed in Australia and elsewhere, the report adds, are crucial to growth. AEL declined to comment when contacted by Business Today. Srei Infrastructure Finance is another one that fell. It is 426th, down 94 ranks from last year. Vice Chairman Sunil Kanoria says it has been a challenging year because of sectoral sluggishness and currency fluctuations. "Be it power or roads, there's a slowdown in the sector. The situation is unlikely to change before the next 18 months." Srei generates revenue from infrastructure project finance and equipment finance. High interest rates have put pressure on interest margins, as the company has not been able to pass on the cost increase to customers. To make things worse, it recorded a Rs 64.8 crore forex loss on overseas borrowings, dragging the net profit down by 37 per cent. As if the power and infrastructure sector isn't battered enough, banks - especially public sector ones - have been suffering, too. Twenty out of 21 public sector banks showed a decline in average market cap since last year, mainly due to high interest rates and significant exposure to the infrastructure, agriculture and SME sectors. "The tight monetary policy squeezed net interest margins of most public sector banks by 15-20 basis points," says Saday Sinha, analyst at Kotak Securities. "Besides, there are concerns about non-performing assets or bad loans arising from SME and agriculture lending." High interest rates have plagued REI Agro, one of India's largest basmati rice producers. Its net profit fell by around 20 per cent in 2011/12 compared to the previous year, and it slipped 166 places to 460th rank as its average market capitalisation crashed 62 per cent in the past year. Sandipp K. Jhunjhunwaala, Vice Chairman and Managing Director, says market cap is a poor indicator of a company's strengths. "There has been a rise in interest rate cost, which is beyond my control," he says. "The basmati business requires huge working capital. I have Rs 3,500 crore of short-term borrowing on the books. The interest outgo has significantly increased." Basmati accounts for some 90 per cent REI Agro's of revenues. The rest is from power trading and retail. In 2007, the company launched the 6Ten retail chain. It opened some 750 company-owned stores in just 18 months. The promoters realised they had scaled up too fast, and switched to a franchise-based model. It now operates 600 stores. HCL Infosystems, once a stock market favourite, has seen a sharp fall in market value - a clear sign that all is not well. The company dropped 123 notches in the rankings. Average market cap has fallen some 53 per cent since last year. Roughly half the company's income is from the distribution of Nokia handsets. The low-margin distribution business has declined steadily due to the fall in the handset selling price. According to a report by FICCI and Ernst & Young, the average selling price of handsets in India nosedived from Rs 4,100 in 2005 to an estimated Rs 2,280 in 2011. As a result, the company's revenues and net profits have plunged. Revenues, which were Rs 12,248 crore in 2008/09, dropped to Rs 10,787 crore in the last financial year. The decline of HCL Infosystems periodically sparks speculation that it may merge with HCL Technologies. But Rothin Bhatta-charyya, Executive Vice President (Marketing, Strategy and Corporate Development) says he sees no significant synergies. "We don't want to hide declines," he says. "We acknowledge that our numbers have declined and the new programme will take two or three years to show tangible results." The company is now focusing on lifecycle services, multi-brand distribution, tablets and education under a new programme called Aspire. This year's BT 500 rankings show that there has been an overall plunge in market capitalisation - there are more drops in market capitalisation (303 companies) than in rankings (218 companies). Recovering lost ground is going to be a tough task.